The Thai government benefits greatly from having tourists pay to see these women who are refugees from Burma. Therefore, the women are persecuted to create a “primitive” village that will attract tourists. 1. Oftentimes, the women will apply for relocation to another country (a common refugee right), but the government denies relocation of women who have rings to boost tourism.2. The women are denied any education healthcare from the Thai government. 5. The condition of these women is not well known, but the UN is involved to ensure Thailand grants them the rights they deserve. 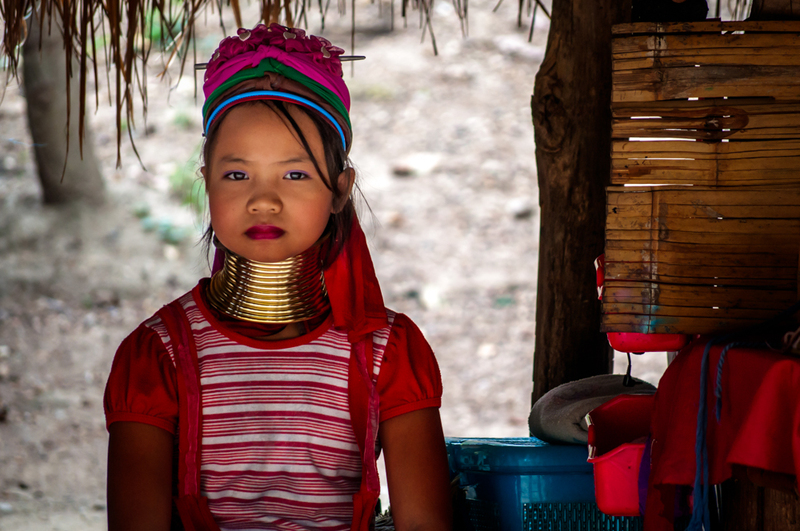 As tourism in these villages decrease, the sooner these women will be free. * Please purchase items from the women before asking to take their picture. * Ask them about their life and experiences, many can speak English. * Help educate others on the situation of these women.